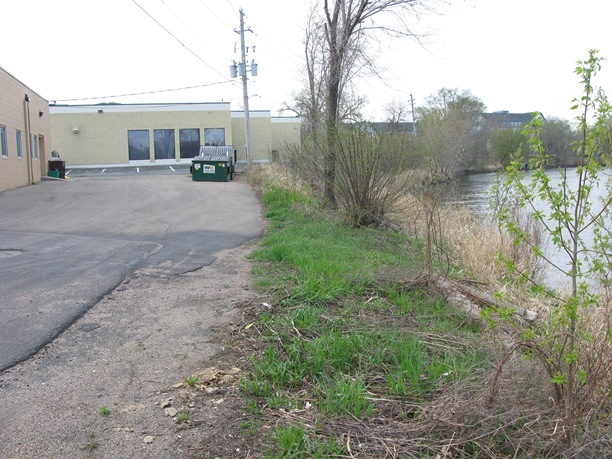 After going under the Hwy 3 bridge, the paved path through Riverside Park exits A) on 7th St. in front of Village on the Cannon; and B) in the parking lots behind River Park Mall and Just Food Co-op. 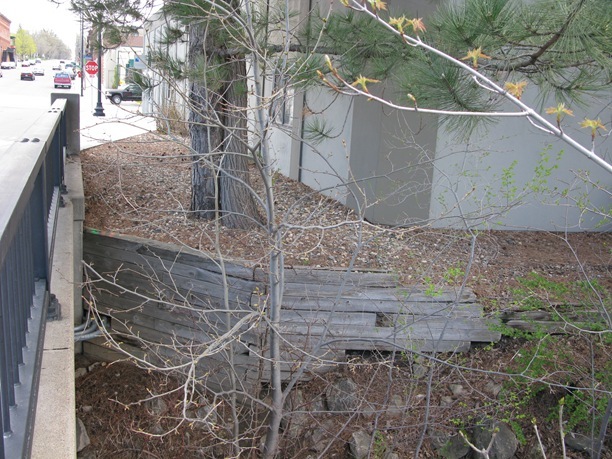 As the discussion attached to my Feb. blog post indicates, it’s likely to be very expensive to route the trail close to river and up to the 5th St. bridge (photos above) since property owners don’t want it cutting through their parking lots. (What are their reasons?) So the only intermediate alternative would seem to route bikers onto 7th, then left/north on Water. Or do nothing and let them find their own way? 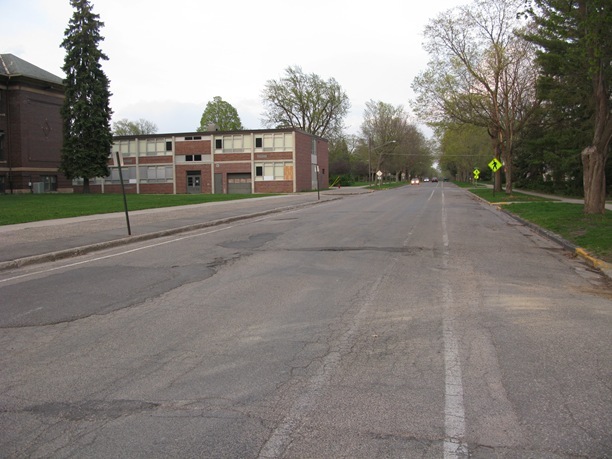 Is there any point in routing bikers through Northfield on 5th St. past the old Middle School? 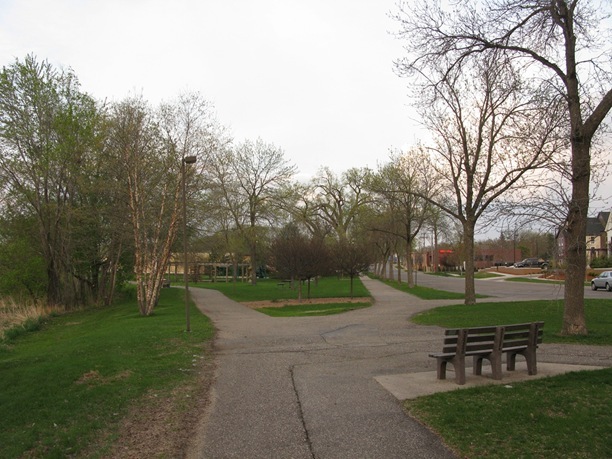 How about a loop from Wall St. Road through the upper Arb (bikes are allowed there) and then back into downtown? Previous PostSteve Swanson’s latest book: the story of Harold and Louise NielsenNext Post120+ Malt-O-Meal jobs departing Northfield. WTF! “Copenhagen wasn’t built in a day” talking about the struggles of establishing bike paths. Within the post there is an even better link to Copenhagenize.com Life in the Worlds Cycling Capital, and a post called Copenhageneze at Velo-city 2009. It looks like there’s a solution but it won’t happen till fall. 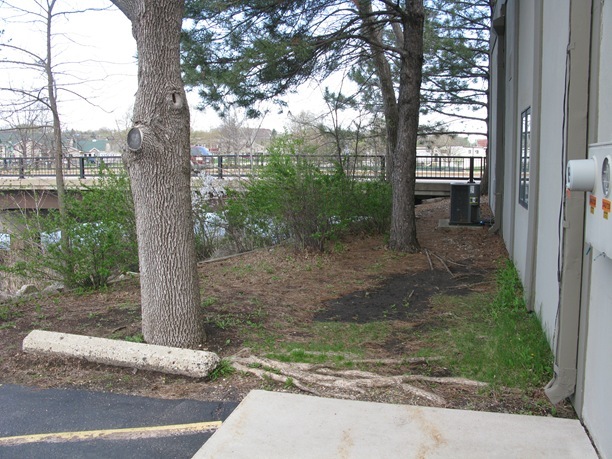 See the Nfld News: River trail, bridge are on course. 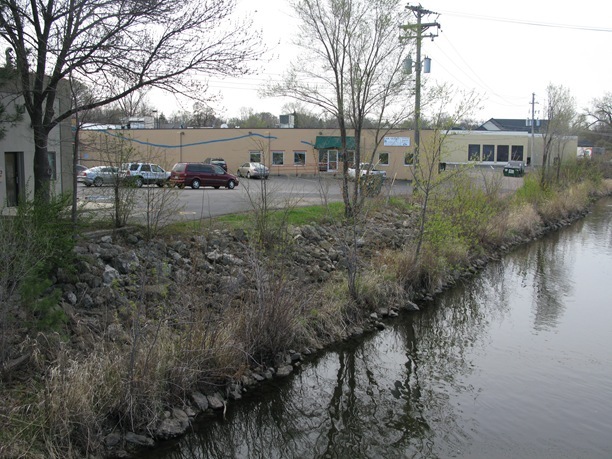 The $240,000 trail was previously thought to lay in a floodway, which would require special approval, but a public hearing scheduled for June 23 was canceled after engineers discovered that was not the case, O’Connell said. “At this point, everything is still a go,” he said, adding that plans for the trail were in the final design stage. 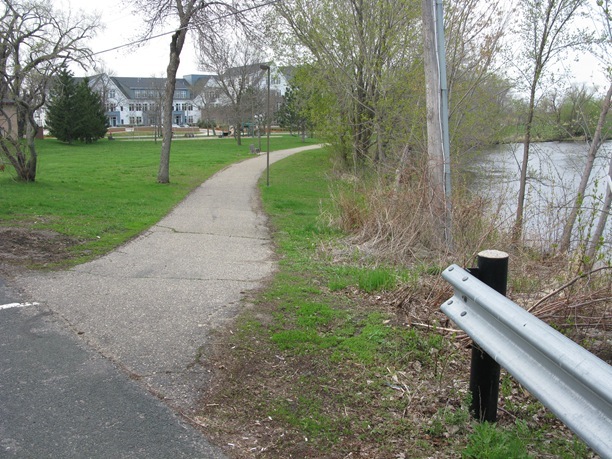 The city still needs two private land owners to grant easements for the trail, but O’Connell said both indicated “general willingness” to do so.